Mosquito Joe, a leading mosquito control treatment company serving residential and commercial customers nationwide, is helping communities across the country stay educated about recent outbreaks of the Zika virus. Through awareness and prevention, Mosquito Joe is looking to combat any potential problems in markets across the U.S. The Zika virus was first identified in 1947 in Africa, but it's only in the last couple of years that cases of it have appeared in the Americas. Zika is primarily transmitted through the bite of infected mosquitoes. The most common symptoms of the virus disease are fever, rash, joint pain, or conjunctivitis (red eyes). Symptoms, while generally mild, typically begin two to seven days after being bitten by an infected mosquito and last for several days to a week. In order to avert the issue, many Mosquito Joe franchisees are gearing up to start their seasons earlier in order to prevent these mosquitoes from hatching in the spring. For those that have any questions about the Zika Virus and ways to combat it, they can visit the official Mosquito Joe website at http://mosquitojoe.com/zika-virus . “As your mosquito control company, we're dedicated to keeping you informed and educated on current news and information when it comes to health issues tied to mosquitoes. While most of the country is not in mosquito season right now, it is important to remember your usual mosquito control tips as you think about how to manage your exposure to the virus. The best way to prevent transmission of the Zika virus, much like with any mosquito-borne illness, is to prevent mosquito bites,” Wilson said. Virginia Beach, VA-based Mosquito Joe provides mosquito control treatment to residential and commercial customers nationwide. Technicians are trained mosquito control experts dedicated to getting rid of mosquitos so people can enjoy being outside again. While each Mosquito Joe is an independently owned franchise that offers customers reliable and effective service from a trusted community member, it is also backed by a national network of technical expertise. 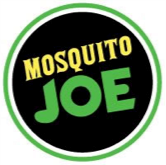 For more information or franchising opportunities, visit http://www.mosquitojoefranchise.com.